By skooljunkie, February 10, 2012 in Going Up! Do we have any updated plans or renders of this project? I only remember seeing basic floor plans. For the type of product it is and price point, except for the arches that don't support anything, it's not bad. I think the brick will look nice. Great infill. Is it brick? Or stucco painted red? More value engineered veneer brick, covered in faux stucco, stained with a hardy plank looking finished before painted "red". (Squints).....oh yeah, I guess those are keystones. Drove by this morning and the excavator is digging up chunks of concrete. This will be the fourth new apartment block to go up within 5 blocks of this in just the last year. Do we know if they will be required to have some sort of street presence? I think that's one of the reasons ATMA at McGowen hasn't broke ground yet. From the rendering, it looks like first floor will be parking garage and possibly a sales office. Looks like no retail on this project. A shame, really. East of Main Street, Midtown is kind of a retail desert. Lots of non-profit homeless & no/low income services. Lots of single family residential development. But not one Starbucks. I look at Mid Main and the Post Midtown at Gray & Bagby (and, presumably, the Caydon high-rise, which IS East of Main — barely! )as great examples of how GFR can make a neighborhood come alive. Too bad some developers don’t develop for the long-term benefit and vibrancy of the neighborhood (Camden) but rather for their immediate ROI. Hopefully this development will be a catalyst for a Mid Main-type development or two deep into Eastern Midtown. There are two blocks here right? So this multi-family complex is taking one and a parking garage is taking the other? Or do we have two multi-family complexes here? Idk the seedy Greyhound McDonald’s just a few blocks from here is east of Main . . . that counts, right? I imagine this will be like the Circuit in Eado - one building will probably be a wrap, and the other will have the pool on the inside. They'll probably be connected via skybridge. Only one block is fenced off. I’d say the other will lie vacant. I imagine they would build the wrap first. The ATMA build on McGowen is slated to break ground in August. I’m not sure the reason for delay but they are just finishing a build just north of Pierce on Austin and have yet to complete their project at Elgin across Crawford from Baldwin Park. I also understand that financing on the McGowen project is through the EB5 visa program so I’m not sure how that has been impacted since November 2016. In discussions with the developer they are planning on placing a “we works” type space at ground level and have agreed to activate the ground floor face of the structure. I’d be interested in knowing if the above renderings of 2111 Austin off the sbc architects site is current. Pushing for GFR is a priority and perhaps there is some leverage or enticement that can be offered. It's a much needed change of pace when you consider the style of many of the other luxury apartment buildings. Great infill for 2 lots that have been undeveloped for forever. Is it? How does it differ from the Pearl or the Windsor in the way it articulates with the pedestrian realm? I guess I don’t see it from the rendering; I see a typical residential fortress so common in Midtown. I agree it would be an advantage to have a built structure on lots that have “been undeveloped forever” but if we simply stop at that comparison we’ve set the bar too low IMHO. These built structures will also be around “forever” and it would be important to leverage what we can now for mixed use tomorrow. I think we can all agree anything but the two vacant blocks is a net positive for this side of Midtown. I struggle to accept why the GFR crowd needs it to be on the ground floor of every residential project. I get the allure , I get what kind of streetscape it provides but I don't know how you could look at this project, next to the bum infested greyhound station, a few blocks from the shadiest Mccidikkies in Houston and pronounce that it's a damn shame there is no GFR. I haven't ranted for a while , this feels good! Free market economy, when the area demands it GFR will come or likely come next door in a strip mall of other form. Rant away, I live and walk these streets and still want an activated pedestrian realm. The thing is, as you rant, recognize that nothing stays constant. The Greyhound station departure is imminent, Pour Behavior has broken ground, Surge homes is selling briskly, deep pockets are getting behind a refashioning of a decommissioned Pierce linear, and every developer recognizes the potential in the NE quadrant of Midtown. So why settle for a fortress? Is the Greyhound departure imminent? I have no clue if they own the site or are leasing, but them leaving would be fantastic for the area. Yeah, I don't think there is any reason to think the Greyhound departure is imminent. Is there? Anyone? Yes, there are plans in the making to relocate the Greyhound station and the corporate office is behind the plans as is the COH. But I'm not handing out rose-colored glasses here. The station is merely a symptom among several in Midtown of street gathering opportunism (fueled by mental health and substance abuse issues as well as outright poverty) where there are dead spaces in the pedestrian realm (and this type of gathering serves to exacerbate those dead spaces). Any casual observer can see that the actual gathering of folks is just as dense along Webster between Fannin and San Jacinto, along Gray at the blank wall of the payday loan building, and around the parking lot at McDonalds. These dead spaces are repeated along Caroline between Hadley and Dennis, San Jacinto between Dennis and Rosalie, and of course under the elevated TxDOT land. Yes, there are plans in the making to relocate the Greyhound station and the corporate office is behind the plans as is the COH. 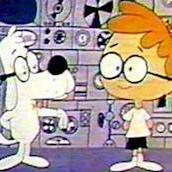 But I'm not handing out rose-colored glasses here. With respect, "plans in the making" does not equal imminent. Plans have been in the making to move the Greyhound station for, what, 20 years? Can't really speak to the 20 year history of seeking to relocate the Greyhound station. What I can speak to is the fact that a joint plan between the Midtown TIRZ and the COH was funded in March, with the blessing of Greyhound, to relocate the station. No, I'm not advocating for forced ground floor retail. I'm more about having an extended conversation with developers to see if mixed use (or some activated ground floor presence) can maximize their investment. What I am finding is that developers unfamiliar with Midtown (Caydon may be the exception) arrive with preconceived notions of what will maximize their investment predicated on stale and fixed views of a built structure that has worked for them in another setting. There are means of incentivizing mixed use, as with the incoming Whole Foods on Elgin. There are other developers, like CVS and Walgreens, who see no other means of building than what they have successfully dropped into different settings. So when is it happening? Where are they moving to? We should expect to know by third quarter this year. That's pretty big news. Can provide a link? Thanks. From reading those minutes, it appears that what has been funded is a consultant study to "identify and evaluate potential Houston area sites for an urban regional transit center." I don't see anything about funding for developing such regional transit center or paying for the relocation of Greyhound. Sorry, but it looks like any relocation is still well short of "imminent." We'll have to wait and see then. My conversations with decision-makers on this issue lead me suggest the station will soon be transitioned out of Midtown. I say all of this with the further conviction that the station is a symptom rather than source of the issues it has come to symbolize. I was worried for a second that this was an actual industry buzzword, but fortunately Google doesn’t seem to agree. Yup, developers essentially lining up to buy lots in the current Pierce Elevated ROW from the state are one of the big reasons that EaDo is getting steamrolled in the reroute project. The affected businesses and individuals in EaDo don’t have the collective clout these developers do. This is basically the commercial real estate equivalent of a highway getting routed through the middle of a lower income neighborhood—think 59 splitting up the Fifth Ward, 288 knifing through Riverside Terrace, etc. Curious if this is really just quid pro quo to “repay” campaign contributions from certain developers by giving them cut rate deals on prime real estate. Can I ask the anti greyhound crowd a question? What do you think makes the greyhound station a must move but the Megabus station is ok? Greyhound does not create the problem and removal will not cure the problem. The problem is the homeless people way of life thrives on pedestrian traffic. The key to disperse the homeless gathering is not to decrease pedestrian activity but to increase. Take away the spot with the most activity and they will simply move to the next most activity which might be your front door. We need to increase pedestrian visibility throughout midtown instead of becoming more and more insular. It is laughable that you think that you get rid of greyhound and all of a sudden the homeless will disappear. Create more active areas in midtown and I assure you the homeless people will be spread out among these areas. A greater threat to your Utopia are those churches and charities. The benefits that are provided by greyhound is nothing compared to that provided by the numerous churches and charities in the area. I would rather the churches move any day instead of the greyhound which is a great amenity. I have seen the homeless massings move throughout the years, but not disappear. There is nothing about greyhound in particular that creates the homeless problem. The problem will get better when the homeless have more areas that they can gather and if the charities themselves disperse. Fill River oaks with charities and pretty soon u will be championing the demolition of the River Oaks mall even tho it is not the cause of the problem. I will also note that Midtown has been working with the COH's Homeless Initiative to find housing for the homeless who want off the street. Until very recently we were anticipating a low level housing opportunity at 419 Emancipation, but the owner of that building decided, instead, to sign on with Southwest Key to house children taken from their parents at the border. My issue with the Greyhound station is more infrastructure - it was designed with Main street was multiple lanes wide, and is not a good fit with the new single lane, divided street. There's no pull off, the buses have to go on round about routes and cut the corners to turn, and the building isn't big enough to have proper waiting areas. Who is this “we” you keep referring to? Are you that plugged in with planning decisions in the area? If so, I guess I actually have reason for concern regarding your apparent glee with the prospect of treating EaDo as a dumping ground. 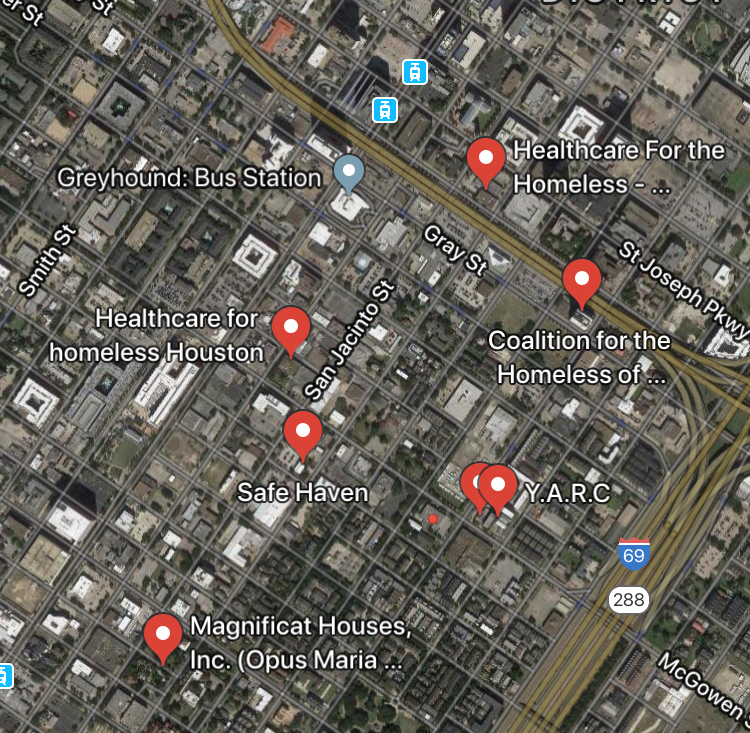 Also, as HoustonIsHome pointed out, a huge reason the homeless population is concentrated in Midtown is because there are many groups that are based there that directly serve the homeless population. You’re not going to make a meaningful dent in the homeless population in and around Midtown unless and until those places decide to relocate. My “apparent glee” in finding a housing option for the homeless willing to take up residence at 419 Emancipation? Get some perspective. That’s a fair request. I’m all for helping those individuals who find themselves involuntarily homeless in transitioning back into society. I will also throw my support behind efforts to assist the homeless who suffer from mental health issues in getting the mental health assistance they need. But I’m also a realist and understand that there is a subset of the homeless population who choose to remain homeless because they do not want to conform with the sobriety requirements of conventional shelters and homeless support services. I assume by “low level” you mean “low barrier.” The idea of “low barrier” shelters (like what was apparently proposed for the 419 Emancipation facility) is that this subset of the homeless population can get the benefits of a shelter environment without having to take the steps to be personally responsible for their decisions and actions. “Low barrier” is unfortunately not a real solution to get this segment of the homeless population off of the streets permanently. So, to the extent that you are referring to plans that fell through to create a “low barrier” shelter in EaDo, to relocate the least desirable portion of the homeless population to EaDo to get them out of Midtown, then I still stand behind my comment. Then we'll just disagree. The backbone of successfully engaging with the issue of homelessness has proven to be a housing first style treatment of providing shelter without condition, that is a shelter that is "low-barrier". Contrary to your assessment of "dumping" the "least desirable" this entails coordinated entry and assessment of the residents, counseling and substance management with an eye toward permanent housing resources. After all, the policy is to end homelessness not end substance abuse, so start there and work with persons issues after they have shelter. And just so you're clear on the "dumping" issue, I have no objection to creating such a shelter in Midtown, this one happens to be apparently in your neck of the woods, however. After all, the policy is to end homelessness not end substance abuse, so start there and work with persons issues after they have shelter. I would agree that you have to start somewhere with an issue this complex. Providing shelter is of course the most logical first step in addressing this issue. However, the end goal with this subset of the homeless population has to be to address the substance abuse issue. It is more likely that these people are homeless because they have substance abuse issues and cannot reconcile the debilitation brought on by addiction with the day-to-day requirements of society. They are homeless because of their substance abuse, not engaging in substance abuse because they are homeless. My concern is that “low barrier” shelters enable this behavior, to an extent, with no obligation for the individual to address the issue that has caused (or at least significantly contributed) to their homelessness. The other block has a chain-link fence around it as of yesterday. Another new apartment project is coming to Midtown. The developers behind 2111 Austin, a 216-unit mid-rise apartment building at the corner of Austin and Gray Street, broke ground mid-June, a few years later than originally planned. H Midtown LP, a group that consists of Houston-based developer Winther Investment Inc. and other private investors, bought two pieces of land in October 2013 from San Antonio-based Gray Street Development LLC. Fred Ghabriel, a partner at Houston-based Bejjani & Associates Inc., represented H Midtown LP, while Greg Austin, who at the time was a partner at Berkadia/Hendricks & Partners, represented the seller. Austin is now a managing director at JLL. Frederic Gautier, president of Winther Investment, planned to start construction on a 1.4-acre tract in 2015 but decided to put the project on hold due to the oversupply of apartment projects around town and the economic situation surrounding the oil downturn. Now, the timing is right, said Mark Barron, contractor and project manager at LP Construction Management LLC. Houston-based Steinberg Design Collaborative is the architect. The project at 2111 Austin will be Winther Investment’s first project in the Houston area in two decades, Gautier said. The last project, The Park at Fairmont in Pasadena, was built in 1998. Since then, Winther Investment focused on projects in the Midwest and on the east coast, including two projects in Philadelphia. Gautier likes the location’s proximity to downtown in a “less congested” part of Midtown. Gautier wouldn’t disclose construction costs but $20.02 million worth of building permits were filed recently with the city of Houston. The construction loan is through Frost Bank. Units at 2111 Austin will range from 650-square-feet efficiencies to 1,400-square-feet three-bedroom units. The five-story building will sit on two stories of parking below. Rents will start at about $1,200 per month, Gautier said. Barron said the units will have carpet in the bedrooms and either engineered wood or vinyl plank in the living areas. He described the look as more traditional rather than contemporary, with crown molding and big trim baseboards throughout the units with modern features in the kitchen, such as oversized cabinets, stainless appliances and granite countertops. The building will likely have a fire pit, pool, courtyard, billiard room, conference room and package concierge system. The project should deliver in May 2020. Once complete, the group plans to break ground on the second phase on the second piece of land — another apartment building. Thanks. Fascinating to think that 2015 was “crazy busy” and Midtown is now tapering off while we have two 30 story apartment buildings on the rise, Camden at McGowen coming on line, the Windsor finished, etc.